14 Aug 2018 --- More than 90 institutional investors representing more than US$6.7 trillion in assets have called on the Roundtable on Sustainable Palm Oil (RSPO) to strengthen its standards for certifying the sustainable production of palm oil. In a letter sent earlier this month to the RSPO, investors voiced their concerns over the group’s relevance and effectiveness and the current disconnect between corporate policy commitments and the RSPO’s Principles and Criteria Guidance. The investors outline specific recommendations to help bridge the gap. “Our investment portfolios include companies that have significant exposure to deforestation risks and therefore, have made robust no-deforestation policies and strong commitments to sourcing sustainably certified palm oil,” the investors wrote. The letter, coordinated by the non-profit sustainability organization Ceres, urges the certification body to include stronger provisions for protecting high carbon stock forests, peat soils and the human rights of plantation workers. The RSPO is preparing to release its new guidance in November 2018. 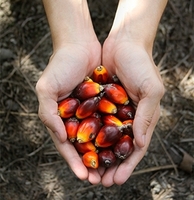 It will help to guide “sustainable palm oil production” for the next five years. The RSPO, a multi-stakeholder sustainability certification body for the palm oil industry, is tasked with assuring that palm oil has been produced sustainably but has faced mounting pressure in recent years to strengthen its standards and enforcement. The current draft standards do not include robust protections for peatlands, high carbon stock forests and labor concerns – such as children’s and worker rights. As an example, palm oil giant IOI Group lost dozens of buyers when its certification from the Roundtable on Sustainable Palm Oil (RSPO) was suspended for compliance failures. “As a consequence, the trader’s share price dropped 18 percent, and its reputation was tarnished,” Nash notes. 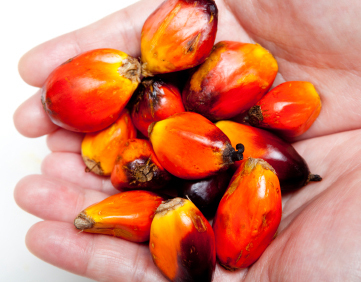 Nineteen percent of the world’s palm oil is currently RSPO certified. Nash says that 100 percent of companies with exposure to palm oil need to have credible monitoring and verification mechanisms to ensure their products are deforestation-free. The rapid expansion of the USS$37 billion palm oil industry has contributed to the destruction of rainforests, drainage of carbon-rich peatlands, and land conflicts with local communities. Palm production continues to be a leading driver of deforestation – which causes 10 percent of global greenhouse gas (GHG) emissions. In fact, new data from the University of Maryland indicates that last year was the second-worst on record for tropical tree cover loss. The timing of the RSPO standards review is especially relevant as companies strive to achieve their zero deforestation commitments by 2020, and governments seek to meet international pledges to reduce greenhouse gas emissions in line with the Paris Agreement. • Alignment with the Free and Fair Labor in Palm Oil Production Principles and Implementation Guidance, published by a broad coalition of NGOs. “The food industry should certainly be more concerned about whether it is sourcing palm oil that is truly deforestation-free and also free of human rights violations. This is why the RSPO standard needs to be as robust as the corporate ‘no deforestation, no peat, no exploitation’ commitments. A credible certification scheme provides consumer brands and retailers assurance that the palm oil they are sourcing is truly sustainable,” explains Nash. In response to the criticism, the RSPO sent the following statement to FoodIngredientsFirst. “Deforestation and carbon stock loss in carbon-rich areas such as Latin America, subtropical Asia and Africa are mainly caused by the expansion of intensive agriculture. Palm oil, soy and cattle grazing are among the top drivers behind this expansion. RSPO fully recognizes the challenge of reaching 100 percent sustainable palm oil cultivation that respects biodiversity, natural ecosystems, deforestation, local communities and workers in palm oil producing countries,” reads the statement. Earlier this year, Nestlé was suspended from the RSPO for breaching its code of conduct and last month the food giant was reinstated after submitting its action plan to achieve 100 percent RSPO-certified sustainable palm oil by 2023. You can read more on this here.